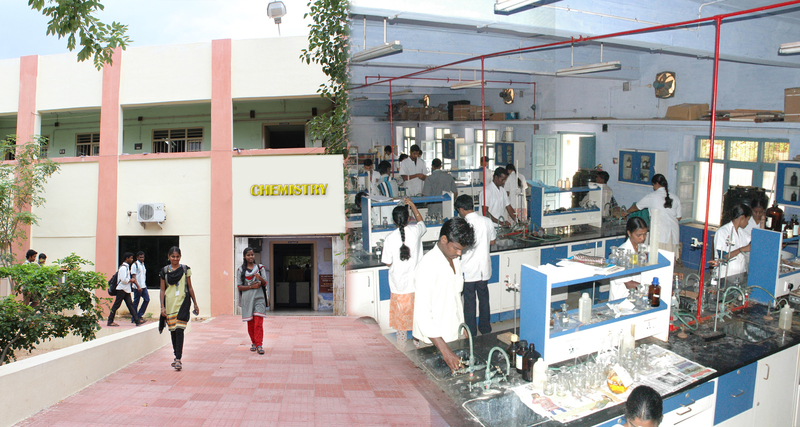 The Department of Chemistry had its origin in the Department of Home Science as a supporting faculty. In 1976, the Department started B.Sc.Programme in Chemistry with Physics and Mathematics as allied subjects. The Department started offering M.Sc. in Applied Chemistry from 1987 to 1994 and this programme was renamed as M.Sc. Chemistry in 1994. The Department started admitting students to the Ph.D. programme in 1991 and M.Phil. Chemistry from the academic year of 2007-08.